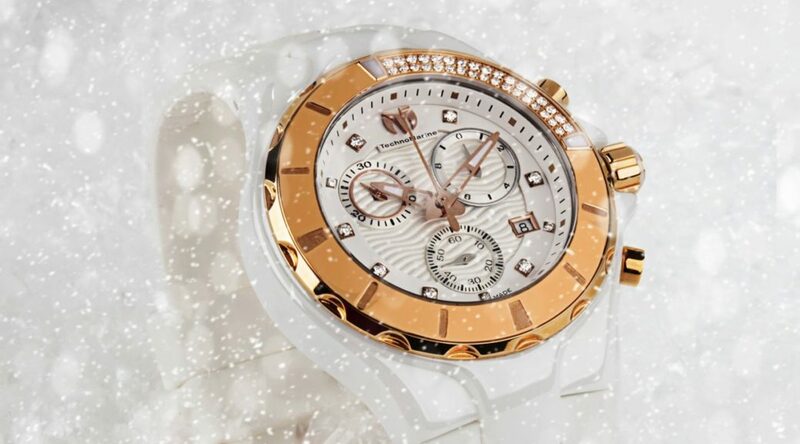 Dreaming Of A TechnoMarine Christmas? It’s no wonder TechnoMarine watches are popular holiday gift favorites for both women and men. The sparkling diamond and crystal accents on many of the brand’s models capture the brilliance and allure of the season, while the captivating colors featured on the dials and bands on many styles add to the festive appeal of the holiday. The brand is highlighted this week at The Watchery with our TechnoMarine Holiday Blowout. Over 85 popular styles are featured in the promotion, including highly sought-after models from the Eva Longoria, Cruise, Manta, Manta Rey, Sea Manta, Reef, Black Reef and Blue Manta series. What’s more, The Watchery is offering Upgraded Next Business Day Shipping on all orders placed by Thursday December 22, 2016 on purchases of $249 or more. You do not have to look any further than the TechnoMarine Eva Longoria Diamond Chronograph for an absolutely stellar Christmas present. This breathtaking women’s dress watch features 128 shimmering round-cut diamonds, pave-set to perfection in two rows on the perfectly round bezel in lustrous stainless steel. The generously oversized case in premium grade stainless steel features a satiny brushed finish. The attractive gray leather strap with distinctive stitched detail adds to the stylish good looks. The iridescent Mother-of-Pearl dial features two sub-dials, luminous silver-tone hands and silver-tone baton hour markers. Features include an automatic date calendar, small-second and 60-minute countdown timers. Additional features include a Flame Fusion crystal above the dial, quality quartz movement inside, along with a locking screw-down crown and case back for water-resistance to 200 meters or 660 feet. 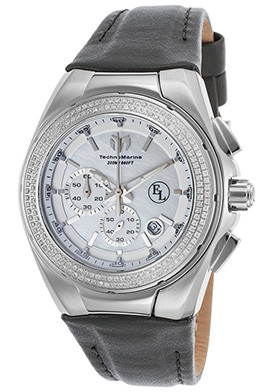 The TechnoMarine Eva Longoria Diamond Chronograph for women is 40mm in diameter and 14mm thick. The TechnoMarine Cruise Dream Chronograph for men is a bright holiday gift choice for men in yellow gold-tone stainless steel. The contoured round case in brushed and polished yellow gold-tone ion-plated stainless steel is presented on the matching bracelet in brushed gold-tone steel with polished highlights. Bracelet has a push-button clasp for added convenience and security. The unidirectional rotating bezel with raised markers surrounds the gold colored dial with three sub-dials, luminous hands along with two black crystals that form the Manta eyes at the 12 o’clock hour. Features include an automatic date calendar, small-second, 30-minute and day-of-the week countdown timers. Premium Swiss-made quartz movement inside assures you of precise time-keeping accuracy. Additional features include a Flame Fusion crystal above the dial, along with a locking screw-down crown and case back for water-resistance to 200 meters or 660 feet. 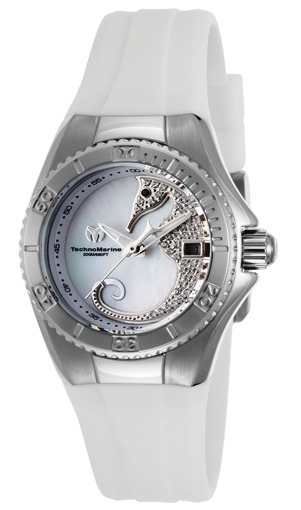 The TechnoMarine Cruise Dream Chronograph for men is 40mm in diameter and 14mm thick. 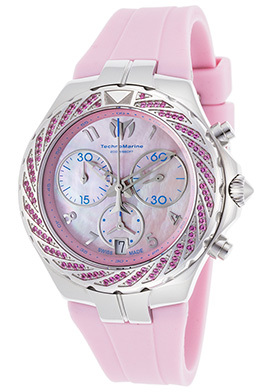 The TechnoMarine Sea Pearl women’s Chronograph is pretty dazzling in pink. This ultra-chic and stylish women’s watch features the amply proportioned round case in lustrous stainless steel, presented on a highly attractive pink silicone strap. Sparkling pink crystals, pave-set in a dramatic swirl design weave intrigue on the lustrous unidirectional rotating bezel in polished stainless steel. The captivating pink Mother-of-Pearl dial shines with 1/10th of second, small-second and 30-minute sub-dials, skeleton polished silver-tone hands and silver-tone Arabic numeral hour markers. Premium Swiss-made quartz movement inside assures you of precise time-keeping accuracy. Features include a scratch resistant Flame Fusion crystal above the dial, along with a locking screw-down crown and case back for water-resistance to 200 meters or 660 feet. 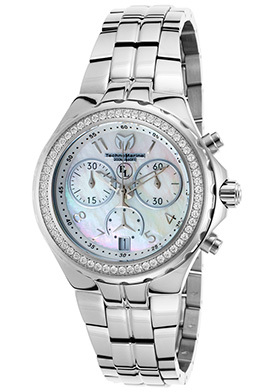 The TechnoMarine Sea Pearl women’s Chronograph is 38mm in diameter and 13mm thick. 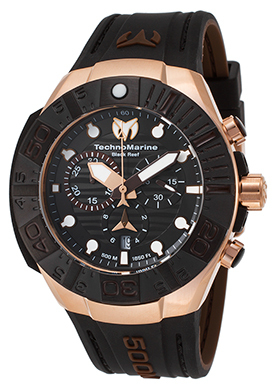 The TechnoMarine Manta Neo Classic Chronograph is another excellent gift selection for men. 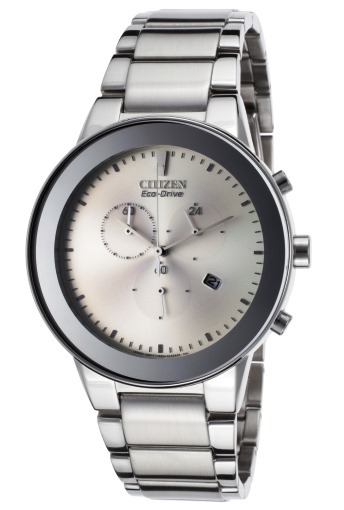 This cool sophisticated styling in two-tone stainless steel is sleek and appealing. The contoured round case in polished stainless steel is presented on the matching multi-link bracelet in polished stainless steel with a convenient push-button clasp closure. 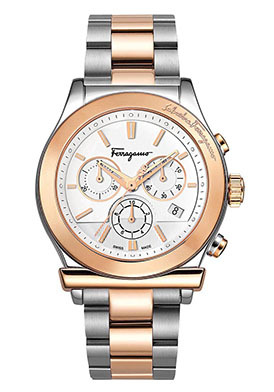 The lustrous rose gold-tone stainless steel bezel, crown and push-pieces add striking contrast. The multi-layered silvery white dial shines with three sub-dials, skeleton hands and crystal inlaid markers. Features include an automatic date calendar, small-second, 30-minute and day-of-the-week countdown timers. 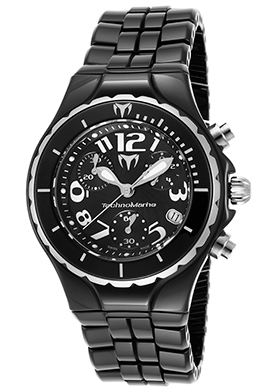 The TechnoMarine Manta Neo Classic Chronograph is 43mm in diameter and 13mm thick. The Eva Longoria Chronograph for women in lustrous stainless steel and dazzling cubic zirconia stones is big on style and easy on the wallet too. The contoured round case and matching multi-link bracelet in stainless steel are highly polished to a mirror-bright patina. Sixty glistening pave-set cubic zirconia stones create a dramatic focal point on the perfectly round bezel. The iridescent Mother-of-Pearl dial shines with 1/10th of a second, small-second and 30-minute sub-dials, a date window, silver-tone skeleton hands and silver-tone Arabic numeral hour markers. Features include a scratch resistant Flame Fusion crystal above the dial, quality quartz movement inside, along with a locking screw-down crown and case back for water-resistance to 200 meters or 660 feet. Eva Longoria Chronograph for women is 40mm in diameter and 13mm thick. 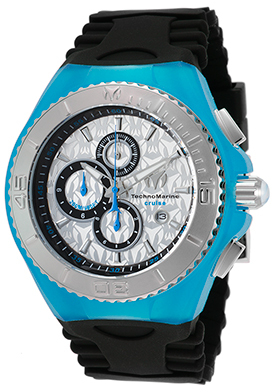 The TechnoMarine Cruise Jellyfish Chronograph is a sleek and sporty choice of men. 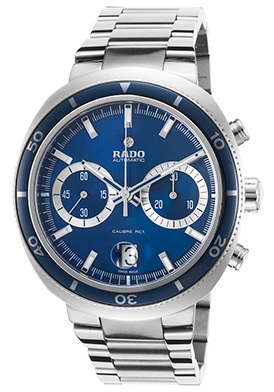 The robust stainless steel case has a blue silicone protective cover. The black silicone strap with raised horizontal detail adds to the stylish design. The unidirectional rotating bezel in stainless steel has raised markers and handsome coin-edge rim. The emblematic patterned silver-tone dial features three sub-dials, luminous skeleton hands and hour markers. Features include an automatic date calendar, 1/10th of a second, small-second and 12-hour registers. Additional features include a Flame Fusion crystal above the dial, along with a scre-down crown and case back for water-resistance to 200 meters or 660 feet. The TechnoMarine Cruise Jellyfish men’s chronograph is 46mm in diameter and 13mm thick. For generations watchmaker Lucien Piccard has been highly regarded and revered for their innovative design, skillful craftsmanship and above all exceptional value. The brand founded in 1923, offers a rich heritage of time-keeping excellence that has been worn on the wrists of royalty, dignitaries and celebrities worldwide for over 93 years. There is a lot to admire with Lucien Piccard’s current collection of premium-crafted timepieces for men and women, integrating the expert craftsmanship and traditional design elements of the brand’s classic DNA with updated, more contemporary elements. From the intricate multi-layered dials with applied numeral hour markers to the generously appointed cases and richly detailed bands, you’re certain to take note of the modern, yet timeless characteristics of a Lucien Piccard wristwatch. 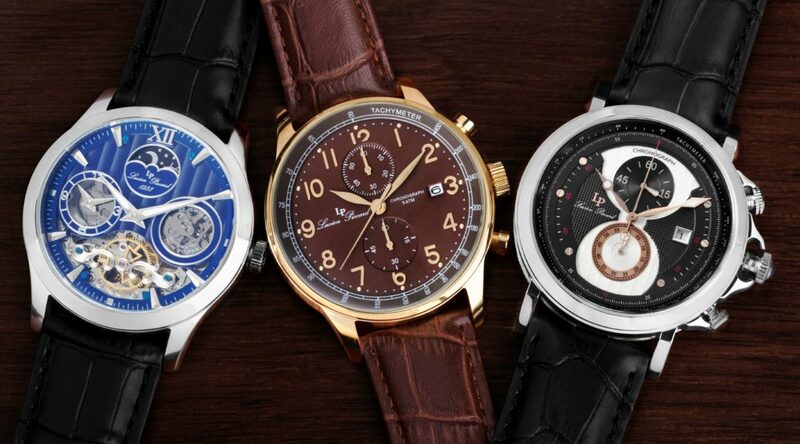 Lucien Piccard watches are highlighted this week at TheWatchery.com with the Lucien Piccard Pre-Season Event, featuring over 260 of the brand’s most sought-after styles for men and women at exceptional savings up to 92% off. The Lucien Piccard Paragon Automatic men’s watch is an exemplary choice. This updated self-widing automatic timepiece offers a generously overs the generously oversized contemporary case in a black ion-plated finish, highly polished to a lustrous glow. 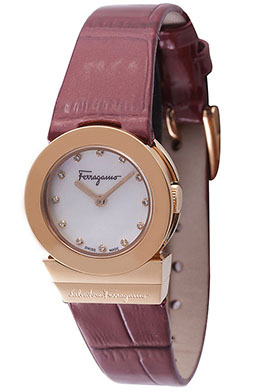 The handsome crocodile-textured leather strap has a push-button clasp for added convenience and security. The skeleton dial and exhibition skeleton case back captures the characteristics and essence of the brand’s early designs from yesteryear. Decorative fluted detail on the black ion-plated steel crown and beaded detail on the bezel add to the classically elegant good looks. Features include luminous blue sapphire sword hands and raised outlined Roman numeral hour markers on the dial and a scratch-resistant Sapphitek crystal above the dial. 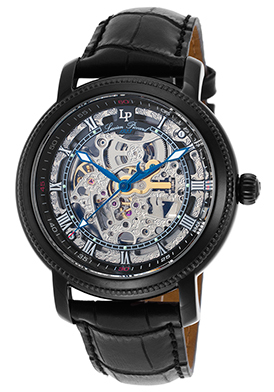 The Lucien Piccard Paragon Automatic men’s watch is 45mm in diameter and 12mm thick. Glowing with time-honored elegance and sophistication, the Lucien Piccard Elisa watch is a splendid selection for women in sparkling crystals and two-tone stainless steel. The graceful contoured round case in highly polished stainless steel is presented on an attractive triple-link bracelet in polished stainless steel with yellow gold-tone center links. Shimmering inlaid crystals dramatically adorn the perfectly round bezel in polished yellow gold-tone stainless steel and stainless steel lugs. The vibrant blue dial shines with polished yellow gold-tone sword hands and highly stylized Roman numeral hour markers. Features include quality quartz movement inside for precise time-keeping accuracy, a scratch resistant Sapphitek crystal and water-resistance to 50 meters or 165 feet. The Lucien Piccard Elisa watch is 36mm in diameter and 10mm thick. 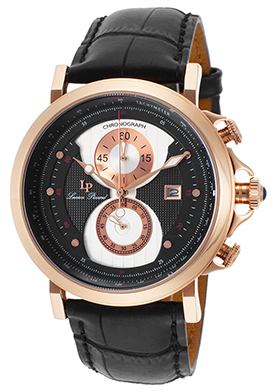 The Lucien Piccard Supernova Regulator Automatic Watch is another outstanding selection for men. This classically elegant men’s timepiece captures the spirit of the brand’s vintage models with a uniquely patterned dial with individual hour, minute and second dials on the midnight blue background, along with a date window, Sun and Moon indicator. The generously sized, contoured round case in rose gold-tone stainless steel is highly polished to a lustrous glow and is presented on a black alligator-textured leather strap with a convenient deployment clasp closure. An exhibition skeleton case back lets you see the intricate automatic movement inside. Features include a scratch resistant Sapphitek crystal above the dial and water-resistance to 50 meters or 165 feet. 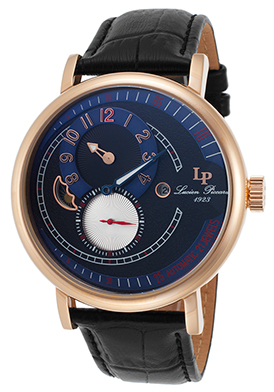 The Lucien Piccard Supernova Regulator Automatic Watch is 45mm in diameter and 14mm thick. 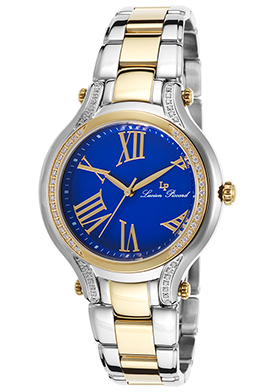 The Lucien Piccard Balarina women’s watch is another exceptional choice for women. 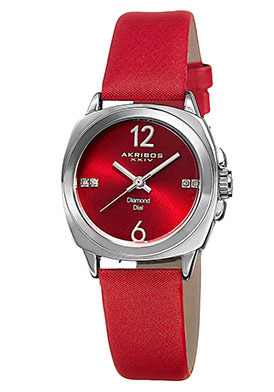 This classic contemporary timepiece flows with grace and sophistication. The perfectly round case in highly polished rose gold-tone stainless steel is presented on the matching triple-link bracelet in polished rose gold-tone stainless steel. The stationary polished rose gold-tone bezel with a sunburst patterned rim surrounds the iridescent black mother-of-pearl dial with luminous sword hands, Arabic numeral quarter hour markers and inlaid crystal markers. Features include a Sapphitek crystal above the dial, quality quartz movement inside and water-resistance to 50 meters or 165 feet. 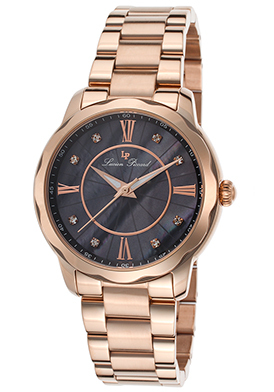 Lucien Piccard Balarina women’s watch is 36mm in diameter and 9mm thick. 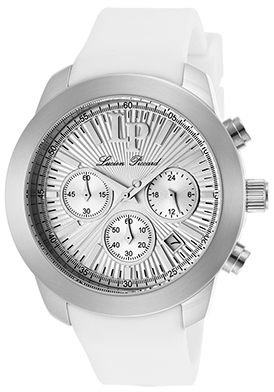 The Lucien Piccard Pegasus Chronograph is another excellent time choice for men. This prestigious men’s timepiece offers the best of both worlds with a classic hour-glass shaped motif on the dial with two sub-dials, pie cutter hands and dot hour markers encased in a thoroughly modern, contoured round case in polished rose gold-tone stainless steel. The handsome black alligator-textured leather strap along with the cabochon shaped crown with an inlaid blue stone adds to the heirloom inspired good looks. Features include a tachymeter outer dial, small-second and 60-minute countdown timers. 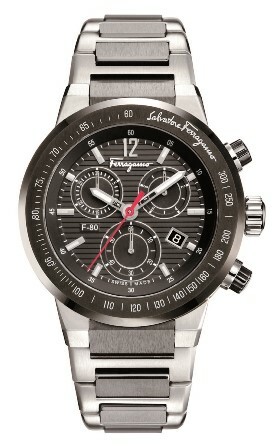 Additional features include precise quartz movement inside for time-keeping accuracy and water-resistance to 30 meters. The Lucien Piccard Pegasus Chronograph is 45mm in diameter and 13mm thick. The Lucien Piccard Belle Etoile chronograph for women offers a striking look towards tomorrow with sleek contemporary contours that are modern, appealing and at the fashion forefront. The round oversized case in polished stainless steel is an impressive 42mm in diameter and 12mm thick. The supple white silicone strap adds to the striking good looks. The intricately detailed patterned white dial features three sub-dials, polished silver-tone sword hands and luminous baton hour markers. Features include an automatic date calendar, small-second, 60-minute and 24-hour countdown timers. Additional features include a Sapphitek crystal above the dial, quality quartz movement inside and water-resistance to 100 meters or 330 feet. The Lucien Piccard Belle Etoile women’s chronograph is 42mm in diameter and 12mm thick. Invicta watch collectors and aficionados have something to rejoice about: TheWatchery.com is now offering a weekly Invicta event every weekend, starting on Fridays and concluding Sunday evenings. This 72-hour promotion called the Invicta Watchlist, features the very latest styles along with exclusive savings on the brand’s most-wanted watches. This weekend, the very latest models from the Invicta Disney Limited-Edition collection, Pro Diver, Russian Diver, Subaqua, Venom Reserve, Bolt, Sea Spider and Aviator Series are featured in the promotion at savings up to 97% or more. The Invicta Disney Limited-Edition Automatic Men’s watch offers the bold, dynamic intensity Invicta is famous for along with Disney’s iconic Mickey Mouse character on the multi-layered dial. The styling gets noticed with a strapping, polished stainless steel case presented on an attractive triple-link bracelet in brushed and polished stainless steel. The stationary bezel in brushed and polished 18K rose gold-plate adds striking contrast. The semi-skeleton Mickey Mouse dial incorporates one of the character’s ears into an open heart window. Luminous rose gold-tone outlined hands and white outlined cabochon dot hour markers add to the stylish good looks. The exhibition skeleton case back lets you see the intricate automatic movement inside. Additional features include a scratch resistant Flame Fusion crystal above the dial and water-resistance to 100 meters or 330 feet. 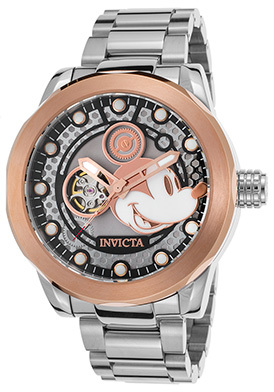 Invicta Limited Edition Disney Automatic men’s watch is 50mm in diameter and 18mm thick. 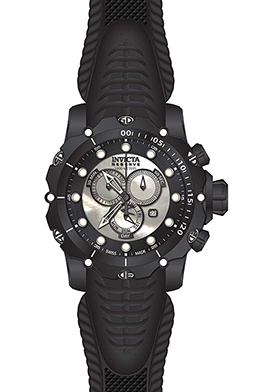 The new Invicta Venom Reserve Chronograph for men offers a vigorous and updated new profile. What’s more, this highly stylized Swiss-made watch is water-resistant to 1,000 meter or 3,300 feet and is an outstanding diver’s watch. The robust case in black ion-plated stainless steel, is presented on a distinctive serpentine-shaped black silicone strap. The unidirectional rotating black ion-plated stainless steel bezel surrounds the genuine Mother-of-Pearl dial with three sub-dials, luminous skeleton hands and luminous cabochon dot hour markers. Features include an automatic date window, small-second, 30-minute and day-of-the-week registers. Additional features include a scratch resistant Flame Fusion crystal above the dial, premium Swiss-made quartz movement inside and a locking screw-down crown and case back. Invicta Venom Reserve men’s chronograph is 55mm in diameter and 20mm thick. The Invicta Pro Diver Grand Diver Automatic watch is another outstanding diver’s watch. This premium crafted men’s timepiece features the contoured round case and matching triple-link bracelet in gunmetal ion-plated stainless steel. A protective bar clasp covers the screw-down crown on the case side. The black ion-plated stainless steel bezel features legible screened markers and a distinctive U-notched rim. The highly legible black dial shines with luminous hands and hour markers. An exhibition skeleton case back lets you see the precision automatic movement inside. Features include a scratch resistant Flame Fusion above the dial and water-resistance to 300 meters or 990 feet. 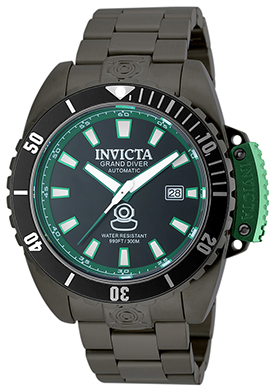 The Invicta Pro Diver Grand Diver Automatic men’s watch is 47mm in diameter and 17mm thick. The new Invicta Venom Sea Dragon Men’s Watch is also ideal for deep-sea adventures. Ultra-bold in style and stamina, the oversized and masculine men’s watch is water-resistant to 1,000 meters or 3,300 feet. The stout stainless steel case with a textured satiny finish is presented on the highly stylized white silicone strap. The unidirectional rotating black ion-plated stainless steel bezel with screened markers surrounds the metallic silver colored dial with luminous skeleton hands and luminous cabochon dot hour markers. A window at the 3 o’clock hour reveals the automatic date calendar. The exhibition screw-down case back lets you see the intricate automatic movement inside. Features include a locking screw-down crown and a scratch resistant Flame Fusion crystal above the dial. 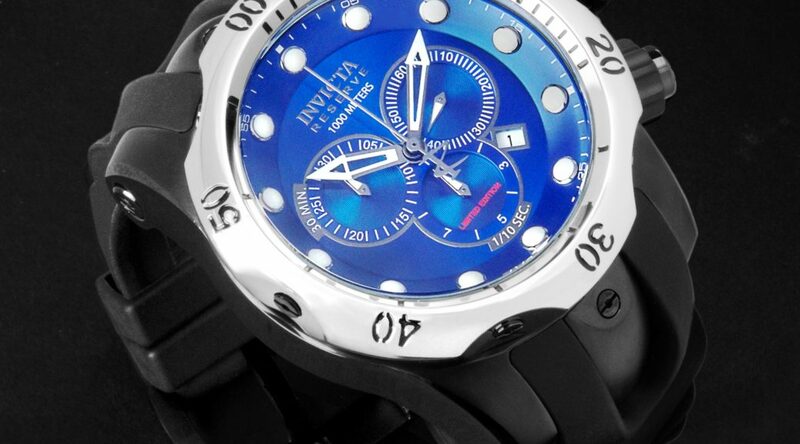 The Invicta Venom Sea Dragon men’s watch is 54mm in diameter and 20mm thick. 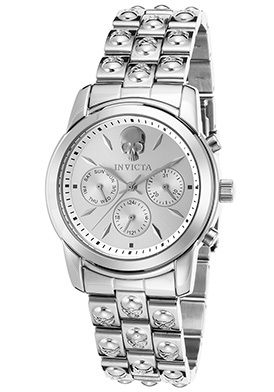 The Invicta Angel Multi-Function women’s watch is on-trend and at the fashion forefront. This sleek and racy women’s watch features an edgy skeleton motif that is presented above the 12 o’clock hour on the dial, along with the raised skeleton motif detail on the lustrous stainless steel bracelet links. The contoured round case is highly polished to a mirror-bright glow. The stationary polished steel bezel surrounds the silver colored, sunray dial with three sub-dials polished silver tone-hands and hour markers. Features include date, day-of-week and 24-hour sub-dials. Additional features include a scratch resistant Flame Fusion crystal above the dial, premium Swiss-made quartz movement inside for precise time-keeping accuracy and water-resistance to 50 meters or 165 feet. 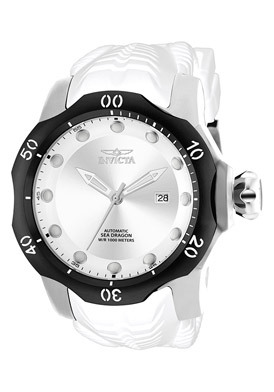 Invicta Angel Multi-Function women’s watch is 38mm in diameter and 11mm thick. With Citizen Eco-Drive watches the terms light and lightweight are mutually exclusive. The brand is currently celebrating the 40th Anniversary of the Eco-Drive Watch technology, which was developed in the 1970’s and formally introduced into timepiece collections for the general public in the mid 1990’s. Citizen Eco-Drive watches have a built-in solar chip and are powered by the sun or any other light source. The solar chip converts this light into energy that is stored in a power cell inside the watch and features a power reserve that lasts approximately six months or more, even if stored in a dark environment. Citizen Eco-Drive watches are also ecologically friendly, since the batteries inside do not have to be replaced and later discarded into the environment. What’s more, many Eco-Drive men’s and women’s watches have exceptionally thin cases measuring 13mm or less in thickness, making them considerably lighter in weight in comparison to other watch styles. You do not have to look any further than TheWatchery.com to discover these ultra-light, light sensitive timepieces during our Celebrated Citizen Time Event taking place this week. Popular styles from the Circle of Time, Promaster, Axiox, Calibre 8700, World Time, Riva and Paladion collections are featured in the promotion. The Citizen Eco-Drive World Time A-T multi-function watch not only offers patented solar technology, this outstanding men’s timepiece features atomic time-keeping technology, which receive radio signals from designated atomic time towers throughout the globe for precise, up-to-the-minute time-keeping accuracy. This radio controlled Atomic watch synchronizes with the national atomic clock in Fort Wayne, CO. The contoured stainless steel case in a lustrous polished finish is presented on the attractive multi-link bracelet in brushed stainless steel with polished rose gold-tone stainless steel accent links. The perfectly round and polished rose gold-tone stainless steel bezel encircles the rotating inner bezel that features the time-zones from 26 cities across the globe that operates with one of the push-pieces adjacent to the crown. The metallic gray dial has 24-hour and alarm sub-dials, an perpetual date calendar and day-of-the-week window, luminous hands and orange arrow world time hand, raised baton and Arabic numeral hour markers. Features include a scratch resistant sapphire crystal above the dial, water-resistance to 200 meters and a push-button deployment clasp on the bracelet. Citizen Eco-Drive World Time A-T watch is 43mm in diameter and 13mm thick. The Citizen Eco-Drive Paladion diamond women’s watch is pure enchantment in two-tone stainless steel and diamonds. The graceful, polished stainless steel case is presented on a lustrous, polished stainless steel bracelet with polished yellow gold-tone center links. Eighteen shimmering round-cut diamonds create a dramatic focal point on the highly polished yellow gold-tone bezel. The iridescent Mother-of-Pearl dial shines with gold-tone skeleton hands and diamond hour markers. A window at the 3 o’clock reveals the automatic date calendar. Features include a push-button fold-over clasp on the bracelet for added convenience and water-resistance to 100 meters or 330 feet. 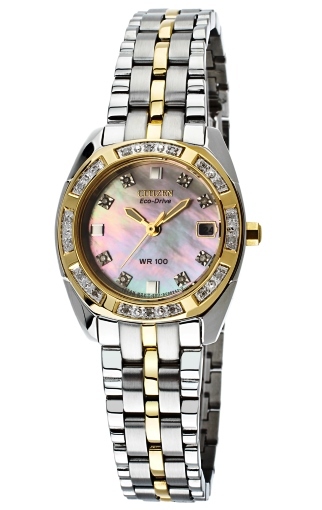 Citizen Eco-Drive Paladion women’s watch is 26mm in diameter and 8mm thick. 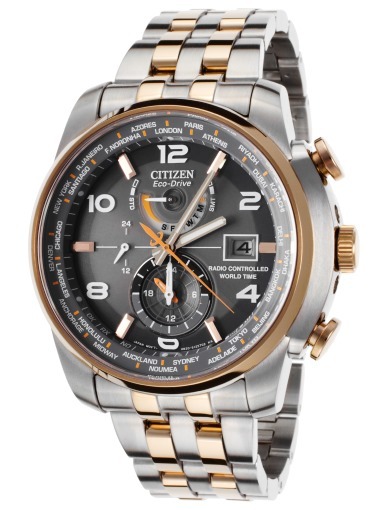 Ultra-sleek and urbane, the Citizen Eco-Drive Axiom Chronograph is ideal for today’s man. The streamline contemporary styling features a highly polished round case presented on the handsome triple-link bracelet in brushed and polished stainless steel. The perfectly round mirrored bezel surrounds the matte finished silvery white dial with three integrated sub-dials, polished silver-tone hands and raised index markers. Features include an automatic date window at the 4 o’clock hour, small-second, 60-minute and 24-hour sub-dials. Additional features include a convenient push-button, fold-over clasp on the bracelet and water-resistance to 30 meters or 100 feet. the Citizen Eco-Drive Axiom men’s chronograph is 43mm in diameter and 10mm thick. 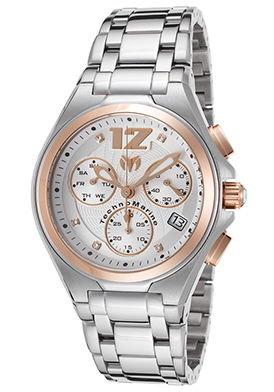 The Citizen Eco-Drive Circle Of Time women’s watch is an ultra-chic and fashionable choice. The perfectly round case in highly polished stainless steel is presented on a lustrous highly polished link bracelet in stainless steel. A double ring bezel of highly polished stainless steel surrounds the captivating Mother-of-Pearl dial with polished silver-tone hands. Features include a scratch resistant sapphire crystal above the dial, water-resistance to 50 meter or 165 feet and a push-button deployment clasp on the bracelet for added convenience. 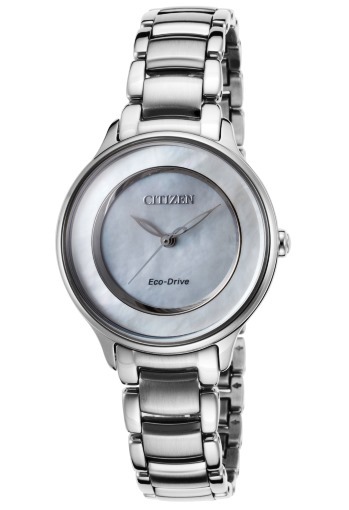 Citizen Eco-Drive Circle Of Time women’s watch is 30mm in diameter and 9mm thick. 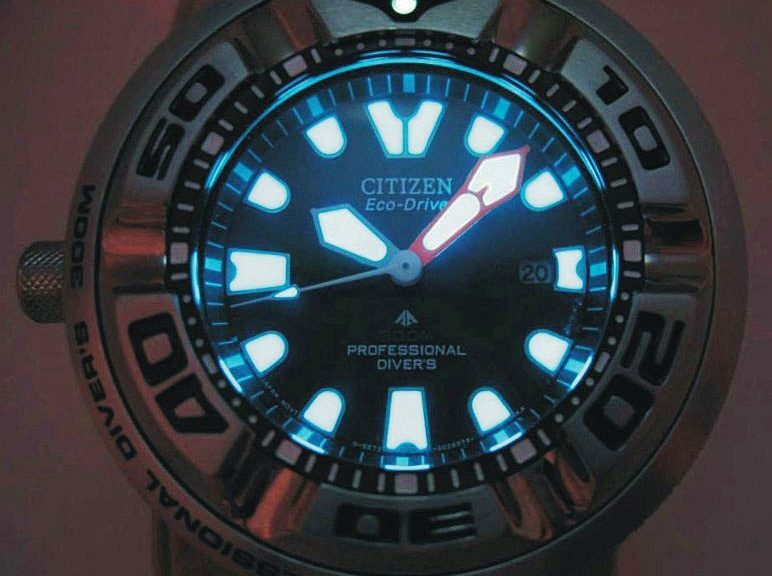 Illuminated Citizen Eco-Drive image courtesy of Wiki Commons. 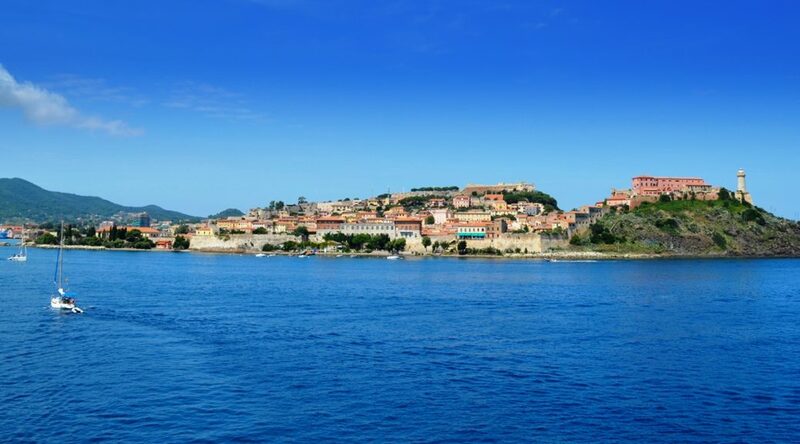 The island of Elba, located on the eastern coast of Tuscany, Italy is noted for many things, including being the place where French Emperor Napoleon Bonaparte retreated into exile after being defeated in the battle of Waterloo in 1814. The island is actually dubbed Napoleon Island in his honor. The pristine sparkling clear beaches of Elba, along with its Mining Park and Mineral Museum are among the many other attractions the Italian island is celebrated for in Europe and around the globe. Elba is also the birthplace of Locman Watches, which was founded in the seaside resort in 1986. Locman is a brand noted for their ulta-bold and modern Italian designs, along with their innovative use of materials, such as titanium, carbon fiber and aluminum. Locman’s ultra-sleek and sporty watches have been widely popular and sought-after for close to three decades, and are among the top fashion watch choices for both men and women. You’ll find many popular Locman men’s and women’s watches at TheWatchery.com, including styles from the Diamond, Mare, Cavallo, Sport, Teseo Tesei, Sport Chrono and Nuovo collections. 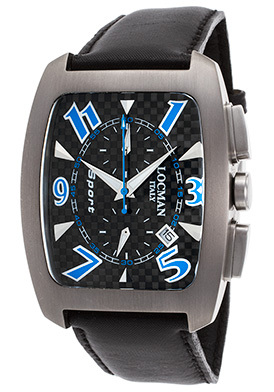 The Locman Sport Chronograph is rugged, masculine and the ideal choice for today’s man. The bold, generously oversized Tonneua shaped case in brushed titanium is ultra-light, durable and exceptionally comfortable on the wrist. The high-performance black techno-satin facing strap with leather backing is both stylish and durable. The attractive carbon fiber dial shines with two sub-dials, luminous sword hands and highly stylized blue outlined Arabic numeral hour markers. Features include an automatic date window at the 4 o’clock hour, small-second and 60-minute sub-dials. Quality quartz movement inside provides precise time-keeping accuracy. Locman Sport Chronograph is 37mm wide and 16mm thick. 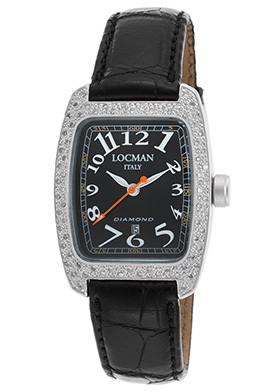 Dazzling and alluring, the Locman Diamond women’s watch is pure enchantment on the wrist. The graceful Tonneau in ultra-light aluminum is presented on an attractive black alligator strap. Sparkling round-cut diamonds are pave-set to glowing perfection on the diamond-cut detailed bezel. The dramatic black dial shines with luminous hands and Art-Deco inspired Arabic numeral hour markers. A window at the 6 o’clock hour reveals the automatic date calendar. Features include water-resistance to 30 meters and quality quartz movement inside. 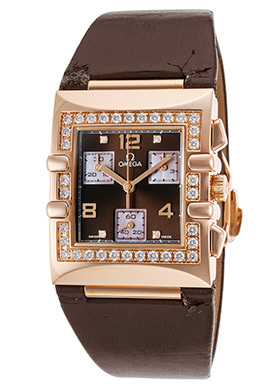 Locman Diamond women’s watch is 28mm wide and 10mm thick. 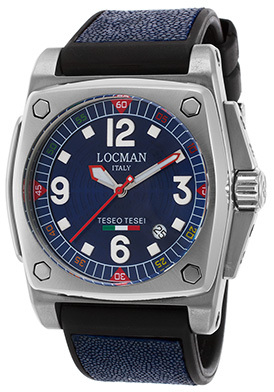 The Locman Taseo Tesei Automatic Limited Edition men’s watch is an outstanding choice. The virile and masculine men’s timepiece features an attractive cushion shaped case in ultra-light, ultra-durable titanium with a smooth and appealing brushed finish. The handsome navy stingray strap adds to the bold, dynamic design. The raised stationary brushed titanium bezel frames with bright blue dial with outlined red colored luminous hands, luminous white Arabic and square shaped hour markers. A window between the 4 and 5 o’clock hour reveals the automatic date window. The quality automatic movement inside never requires a new battery. 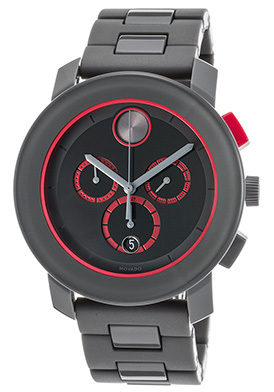 Locman Taseo Tesei men’s watch is 42mm wide, 18mm thick and is water-resistant to 300 meters. 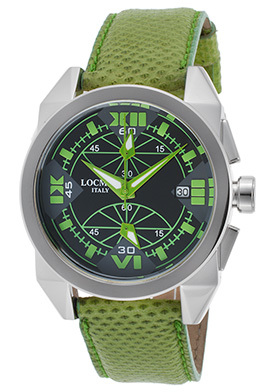 Green is the color to be seen in with the Locman Cavallo Pazzo women’s chronograph. This striking timepiece features the perfectly round case with distinctively shaped lugs in polished stainless steel, presented on a bright lime green colored Karung snake strap. The perfectly round, stationary polished steel bezel encircles the black dial with two sub-dials, lime green outlined luminous hand, lime green baton and Roman numeral hour markers. Features include an automatic date calendar, small-second and 60-minute registers. Additional features include quality quartz movement and water-resistance to 50 meters or 165 feet. Locman Cavallo Pazzo women’s chronograph is 39mm wide and 12mm thick. Image of Portoferraio Bay in Elba, Italy courtesy of Wiki Commons. Fun In The Sun With TechnoMarine! When it comes to fun in the sun timepieces, TechnoMarine watches have captivated both women and men for close to two decades, since the brand was founded in 1997. With bright and colorful Swiss-made chronographs for men and women featuring interchangeable gel straps and case covers, along with water-resistance to 200 meters, TechnoMarine revolutionized the watch industry in the late 1990’s and early 2000’s. Inspired by the carefree luxury and effervescence of St. Tropez, TechnoMarine’s Techno Diamond, Cruise and Raft collections were widely popular when they debuted during this era and were heralded for their whimsical, colorful appeal, not to mention excellent water-resistance…making them great fashion choices for summer beach getaway. TechnoMarine watches today still feature the premium quality, vibrant characteristics and water-resistance the brand is renowned for. Whether you’re sailing across the French or Mexican Riviera this summer, deep-sea diving in the Caribbean waters of Belize or strolling along the white sandy beaches of Maui, Hawaii, you’ll want a TechnoMarine watch by your side. The brand is prominently featured this week at TheWatchery.com with our TechnoMarine Time Favorites Event. Close to 90 popular men’s and women’s watches are featured in the promotion, including styles from the Cruise, Manta, Reef, Blue Manta, Sea Manta and TechnoMillennium collections. 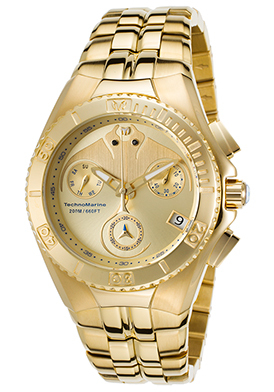 The TechnoMarine TechnoMillennium chronograph is an ultra-chic and fashionable choice. This trend-setting Swiss-made women’s watch features a generously oversized case and matching multi-link bracelet in lustrous high-tech black ceramic. The unidirectional rotating bezel with v-notched detail in premium grade stainless steel and a screened black ceramic top ring surrounds the black chronograph dial with three sub-dials, luminous sword hands and stylized Arabic numeral hour markers. Features include a date window, 1/10th of second, small-second and 30-minute registers. Additional features include a scratch-resistant sapphire crystal above the dial, locking screw-down crown and case back for water-resistance to 200 meters or 660 feet. Women’s chronograph is 39mm in diameter, 14mm thick and has precision quartz movement inside. The TechnoMarine Black Reef chronograph is an excellent deep-sea diving choice with water-resistance to 500 meters or 1,650 feet. This high-performance, Swiss-made men’s chronograph features the robust rose-gold tone stainless steel case with black plastic trim is presented on the attractive, highly durable black silicone strap. The black ion-plated stainless steel bezel with engraved markers surrounds the black and brown dial with three sub-dials, luminous sword hands and hour markers. Features include an automatic date window, 1/10th of a second, small-second and 30-minute registers. Additional features include a locking screw-down crown and case back, along with premium Swiss-made quartz movement inside. Men’s Black Reef chronograph is 45mm in diameter, 14mm thick and comes with an additional black silicone strap. The TechnoMarine Cruise Dream women’s watch captures the spirit of the brands’ early models with a graceful, highly polished case in premium grade stainless steel and attractive white silicone strap. The unidirectional rotating bezel with raised markers surrounds the Mother-of-Pearl dial with a sparkling cubic zirconia inlaid Sea Horse design on one side, along with luminous silver-colored, outlined hands. A locking screw-down crown and case back provide water-resistance to 200 meters. Cruise Dream women’s watch is 30mm in diameter, 13mm thick and features highly accurate Swiss-made quartz movement inside. 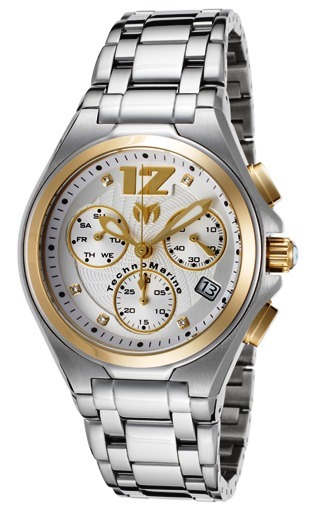 The TechnoMarine Manta Neo Classic men’s chronograph is sleek and appealing two-tone stainless steel. The round contoured case in lustrous stainless steel is presented on the handsome multi-link bracelet in highly-polished stainless steel. The perfectly round, polished yellow gold-tone bezel, matching crown and push-pieces provide stylish contrast. The silver colored patterned dial shines with three sub-dials, gold tone hands and five inlaid crystal hour markers. Features include an automatic date calendar, small-second, 30-minute and day-of-the-week registers. Additional features include a locking screw-down crown and case back for water-resistance to 200 meters. Manta Neo Classic men’s chronograph is 43mm in diameter, 13mm thick and features precise Swiss-made quartz movement inside. 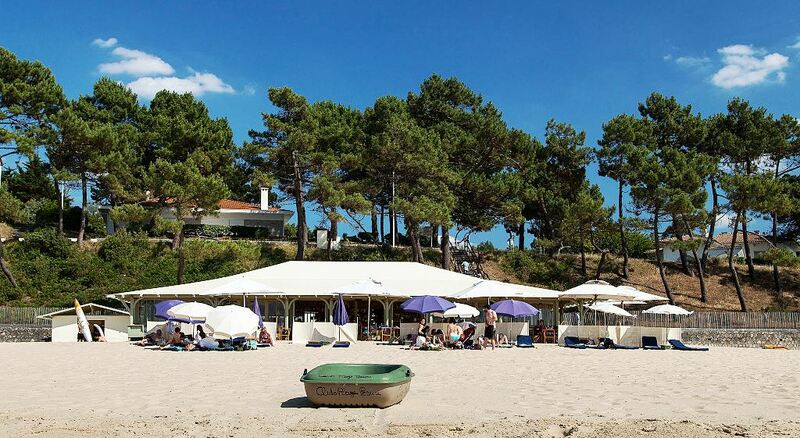 St. Tropez beachside resort image courtesy of Wiki Commons. Although big and bold is the trend for most of today’s top-selling men’s and women’s timepieces from numerous watchmakers around the globe, most notably Invicta, TAG Heuer, Fossil, Michael Kors, Bulova, IWC and Omega, many Scandinavian watchmakers are going against the grade with slim and slender minimalist designs. Popular Scandinavian watchmakers Skagen, Obaku and Daniel Wellington are renowned and highly popular worldwide for their ultra-sleek and slender timepieces measuring less than 11mm in thickness and no more than 41mm in diameter. 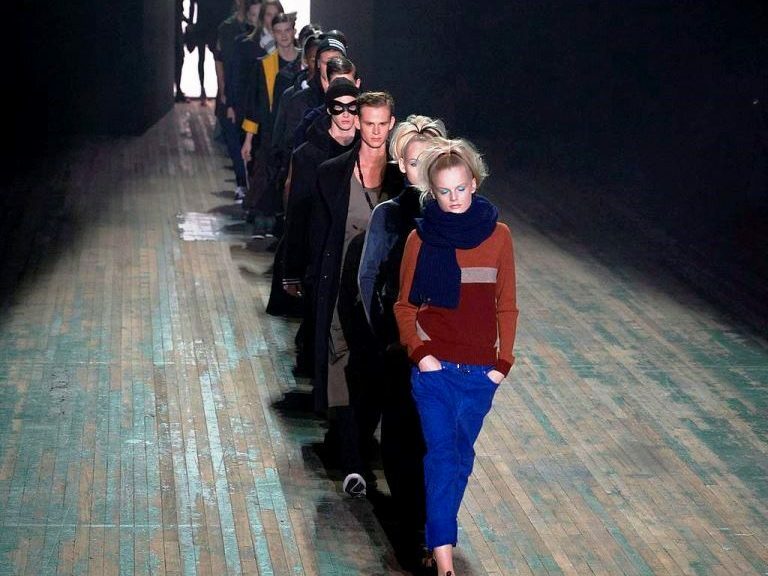 Daniel Wellington a relatively new Swedish watch brand founded in 2006 has led the recent non-conformist movement of slim and slender timepieces. 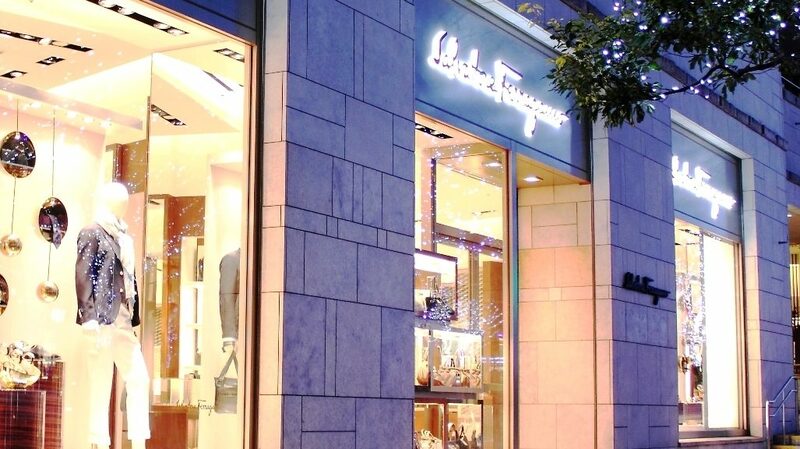 The brand’s founder Flip Tysander, a Swedish entrepreneur sought out to create wristwatches with a classic, preppy feel that could be worn by both men and women for any occasion… from dressed-down relaxed and casual to more formal dressed-up occasions. The minimalist, Scandinavian design is presented in every detail of a Daniel Wellington timepiece…from the thin, lightweight and uncluttered case with clean flowing lines that is ergonomically designed to comfortably fit the contours of the wrist. The supple leather and signature NATO canvas straps the cases are presented on are both comfortable and appealing. What’s more, each of the straps is interchangeable, offering numerous fashion and color options. The highly legible dials with attractive silvery white backgrounds, slender baton hands and hour markers add to sleek, understated design. The concave shaped crowns with decorative fluted detail complete the look. 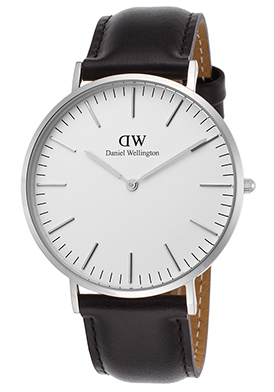 Daniel Wellington watches are featured this week at luxury retailer TheWatchery.com with the Daniel Wellington Wrist Essentials event, featuring popular men’s and women’s watches at exceptional savings up to 52% off. Popular models from the Classic Bristol, Cambridge, York, Sheffield, Warwick and Glasgow collections are featured in the week long promotion with cases in polished stainless steel, lustrous rose or yellow gold-tone stainless steel. 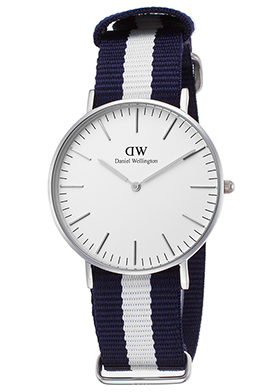 The Daniel Wellington Classic Glasgow women’s watch is a splendid choice with a slim 36mm diameter, 6mm thick case in highly polished stainless steel. The navy and white striped NATO strap in durable nylon canvas is bright and appealing. Polished silver-gold tone baton hands and hour markers add striking contrast on the white dial. The Classic Sheffield men’s watch is cool and sophisticated with a striking 41mm diameter, 6mm thick case in highly polished stainless steel and a supple black leather strap. Silver tone baton hands and markers enhance the sleek white dial. Both Daniel Wellington watches feature quality quartz movement inside for precise time-keeping accuracy and water-resistance to 30 meters or 100 feet. Whether it’s waiting the final day to file income taxes, making a bill payment or shopping for gifts, we are a nation of procrastinators. No matter if it is deciding upon a gift for a birthday, anniversary or special holiday we all like to wait until the very last few days. Valentine’s Day is this Sunday and there is less than a week left to find the special someone in your like a Valentine’s Day present. Luxury online retailer TheWatchery.com makes it easy this week with their Last Chance Valentine’s Day Sale. Hundreds of popular men’s and women’s watches are featured in the promotion, including styles from Michael Kors, Maurice Lacroix, Movado, Rolex, Gucci, Bulova, Corum, Invicta, Cartier, Chanel, Swiss Legend, Breitling, Daniel Wellington and Raymond Weil… all at exceptional prices. Diamonds are considered to be “a girl’s best friend” and you can certainly not go wrong this Valentine’s Day than giving the special lady in your life a dazzling diamond wristwatch she’ll love always. Captivating styles for every taste are featured including the Swiss Legend South Beach Diamond Watch priced well under $100. This glamorous timepiece is ultra-chic and sporty with a lustrous 35mm diameter stainless steel case, presented on an attractive white silicone strap. Shimmering round-cut diamonds accent the lustrous steel bezel that surrounds the iridescent Mother-of-Pearl dial with silver tone hands and Roman numeral hour markers. Quality Swiss-made quartz movement inside assures you of time keeping accuracy. The Citizen Silhouette Eco-Drive diamond watch priced under $300 is an absolute stand-out. This exquisite women’s dress watch has a shimmering bezel with twenty inlaid diamonds and a Mother-of-Pearl dial with eleven diamond hour markers. The 26mm diameter stainless steel case and matching bracelet are polished to a lustrous mirror-bright glow. The solar powered Eco-Drive quartz movement inside is powered by sunlight or any other light source and will never require a new battery. 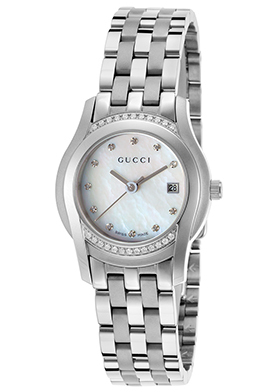 Beset with radiance and glamour the Gucci 5505 women’s watch in stainless steel and diamonds is sure to win her heart. 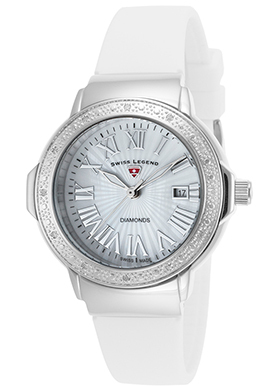 Priced under $800, this sleek Swiss-made timepiece features twenty-four pave-set diamonds on the lustrous 27mm, diameter stainless steel case and an additional eleven inlaid diamond hour markers on the captivating Mother-of-Pearl dial with polished silver tone hands. The attractive multi-link bracelet in brushed and polished steel has a push-button butterfly clasp for convenience. 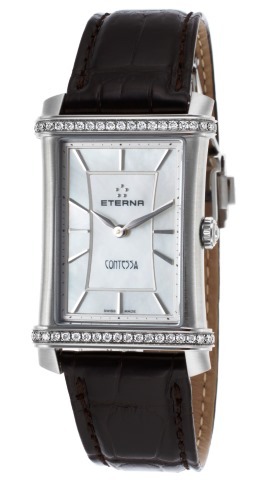 She is certain to be enthralled with the Eterna Contessa Diamond watch in lustrous stainless steel and priced under well $1,110. Thirty-six premium-grade, round-cut diamonds are pave-set to glowing perfection on the two ends on the rectangular shaped case in highly polished stainless steel. The exquisite black alligator strap adds to the impressive design. The iridescent Mother-of-Pearl dials shines with silver colored sword hands and baton hour markers. Premium Swiss-made watch is 23mm wide and features a sapphire crystal above the dial and quality quartz movement inside. Complimentary shipping and returns are included on all domestic purchases within the continental United States at TheWatchery.com. It’s best recommended to place your Valentine’s Day order by 2:00 pm Eastern Standard Time, Wednesday February 10th to ensure prompt delivery by Saturday February 13th.